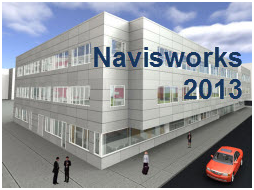 Our training for AutoDesk Navisworks 2013 training consists of 115 individual tutorials, which explore the features and functions of the Navisworks 2013 software family, including Simulate and Manage. With over 7 hours of instruction, our comprehensive and detailed course covers topics such as viewpoint animations, Gantt chart, animation sets, applying and editing materials, lighting effects, and clash detection. As you view our training tutorials, you will start with the basics such as an overview of the interface and workspace. As you delve further into the tutorials, you will learn more advanced skills such as interactive animations, background effects, photo-realistic outputs and clash detection. With our AutoDesk Navisworks 2013 training, you will learn to work more effectively and to reduce problems during design and construction.